Thank you so much for helping Shayla with her geography! She enjoyed looking up where you wrote from and your wonderful guesses and the variations of pronunciation! Once inside the “Churchill Downs Museum” in LOUISVILLE, Kentucky she said, “I have only been in this museum for five minutes and already it’s like my favorite museum ever.” She didn’t realize this, but it was challenging at times for Shayne and I because we took BOTH the girls to that same incredible museum years ago. Christi LOVED it too and I remember so many things that Christi enthralled in there. Unfortunatelly, I've not been able to locate those pictures, but I do know I have them somewhere. I'll add a few "oldies but goodies" I've never shared before at the bottom this morning. 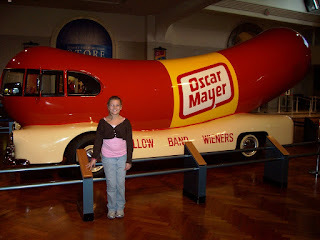 Shayla learned a ton at the Louisville Science Museum and is anxious to get back to COSI soon. At the Phantom of the Opera, we knew it would be bittersweet. Shayla had wanted to go since last year when we were in Las Vegas and she saw it advertised and was intrigued. One of the reasons, Christi was named Christine was because of Christine in Phantom of the Opera Shayne and I saw twice in Toronto. When she sang “Wishing You Were Somehow Here Again”, tears gushed out and Shayne, sitting behind me, placed his hands on my shoulders. I didn’t dare turn around as I knew he was sobbing too. 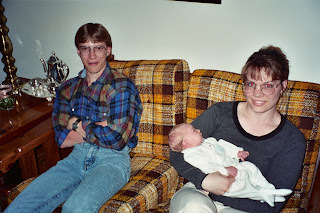 You would think we would grow “accustom” this new life as a family of three, yet we have not and sometimes it just comes up like a wave from nowhere enveloping your body in a vast, unstoppable rush. We stopped for dinner on our way home Sunday night. The gentleman seating us set out four place settings. Then he said, “Only three? I thought you said a party of four,” as he took away a place setting. I mumbled under my breath, “We used to be. We want to be.” During dinner, we decided we would talk about Shayla’s 9th birthday, coming up soon. When I asked her if she had a theme in mind, she said, “Horses”. A kick was conducted under the table as that was exactly what Christi picked for her 9th birthday party. Can you even believe?! We of course told her that was a great idea, but it was all I could do to fight back my tears. As soon as we arrived at home, Shayla ran upstairs and brought down a stuffed horse saying, "This can be the centerpiece!" I said, "Great idea," and then glanced at Shayne and he shook his head. 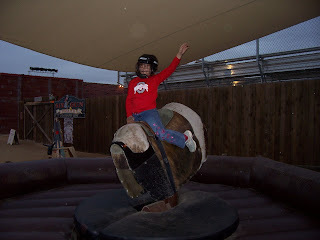 It was like pouring salt in our wounds; the horse she brought down was the one Christi and all of Christi's classmates signed at her 9th "horsing around" birthday party two years ago. I don't think we can possibly handle having that sit on our dinner table. We are so fortunate and so blessed to have a wonderful healthy child in our lives. I know of other parents who have lost their only child. I know of parents in/out rehab and a variety of issues which come about after death of a loved one. 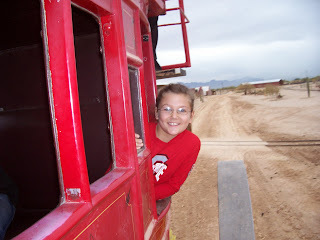 I do know how very blessed we are, but…..I still miss the little sweetpea with her incredibly precious giggle! As we drove home, I pulled up my email and learned, from a NB dad I keep in touch with, about the death of his 23 year old son who fought the nasty disease of Neuroblastoma for 12 years. While I learn of deaths weekly, I try not to let myself get too cught up in it because it all hits too close to home and brings it all back again. I am reminded however of how special, healthy and wonderful Shayla is and I don’t know what we’d do without her. I hope I never forget this. Christi's tenderness kicked right in when she learned her cousin had to stop playing and sit down and do his breathing treatments. She quickly got a book, sat beside him and started reading to him. I think she internalized the way many around her acted when she was receiving treamtent and therefore returned the favor. A little embarassing to admit,but I really do not know who is in my kitchen kissing Christi! Me? My sister? Harriet? I can't figure it out! Another picture I've never shared: In July of 2005 when Chrsiti's progression was in question; our trip back to Ohio was cancelled. Due to the July 4th weekend, we had to wait in Philly about four days before getting the MRI she needed. We took the girls to Build a Bear. The sisters made matching bears and had a blast back at the Ronald House playing with them. PICTURE: April 2004 Sweet Traci (Harriett) filled a ton of balloons with helium for a "Christi Party" at her apartment before she left for work at COSI. When we arrived that night, they were all over the floor. Christi LOVED it anyway; what a hoot! Was that girl spoiled or what?! Ah, I do it all over again in a heart beat! She was worth it all and taught me true love! Cabelas, Henry Ford & the Auto Show! PHOTO: Baby Christi (five months, October 1997. In her little "baby saucer" we borrowed from my sister). Brilliant Bloggers! THANK YOU for guessing!!! 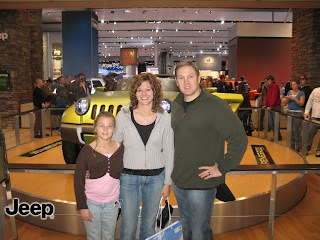 Even though Shayla didn't know that Detroit was in Michigan (she does now - thanks to you) Christi's bloggers nailed it! Yes! Shayla loved reading the responses she received even though she inquired, "Michigan??? I thought I was in Detroit. Oh.......is Detroit in Michigan? It was so close?" We went to the International Auto Show in Detroit. (We were planning to go long before "Bambi" jumped out and smashed my van! It will be fixed up soon!) We also explored Henry Ford Museum in Dearborn. Some even guessed "Cabela's" (which is like a zoo with dead animals, kind of eerie really but Shayla LOVES it there at their hunting and fishing store). THANK YOU!! Shayne decided we must really be old because now we are in a museum! ("The 80s" time period was featured at Henry Ford and we had the best time checking out all of our "old" stuff.) 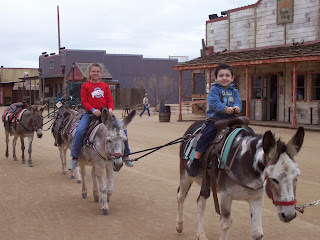 We hope to go back this summer so that we can explore "Greenfield Village" together. Shayla is really enjoying history and is learning so many exciting things. Humor from Shayne: I overheard Shayne saying that out of nine girls at ballet, none of their parents knew how to sew the elastic and ribbons on their daughter's new pointe shoes. Of course my sweet mother "Grandma Nonee" took care of Shayla's before she left for Florida because Shayla's mother would not have a clue (smile). Now I've come to learn that Shayne led the other moms think HE sewed Shayla's shoes. Shayne said, "Shayla ratted me out eventually." What a riot! Unfortunately, we do not have photos to share of the wonderful family who fed us and put us up for the night! (However, I do have this photo of Chris's amazing sewing talents by creating a little matching outfit for Shayla's AG doll!!) It was wonderful to spend some time with one of Christi's "Chemo Angels" who spoiled her for so many years. 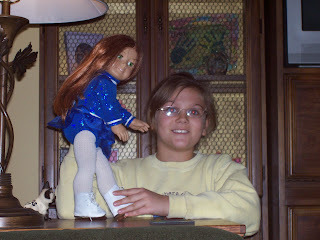 (I think Shayla was very surprised that a mother of only boys actually had American Girl dolls of her very own!) I'll never forget my amazement at seeing beautiful Chris's face at the funeral home because she lives hours away. Despite the ending we wish we could rewrite, Christi's journey deeply enriched our lives by allowing us to meet the most amazing people and our lives will never be the same! No deer last night driving home from class, just one lone rabbit (faster than the deer I might add! Whew!). I was quite surprised that a couple of my students noticed my smashed van front and inquired. I carefully explained I did not hit the deer on purpose, it ran out in front of me and I'm still traumatized from the event (wink). Lively classroom discourse over that topic! (Just wish I could have come up with it from a different context.) Regardless, I will in future years have students write about their own "hitting deer" incidents as hands when flying up to tell me of their various encounters. Only in rural Ohio - I guess! Although this probably sounds horrible, I was so glad to be in Columbus last night, while typically I long to see Shayla's ballet class. Last night; however, was the first wearing of Shayla's class on pointe shoes at ballet. It is one of my favorite "all time great Christi memories" and I don't think I could have, nearly two years to the day, made it through dance with composure!! I must have taken 80 pictures of Christi dancing that night, feeling so proud to finally get those shoes, if only to wear them for 15 minutes. I had also received her LDH (tumor activity) level, drawn at the local hospital before class, and that skyrocket was a wake up call to "shoot away, time is ticking". Shayne snapped some of Shayla for me and she told me all about it last night when I returned home from driving down the bunny trail. My sweet cousin watched Shayla while I was on campus last night. Much to my surprise she even remembered, Shayla asked Tricia to teach her how to do that thing she was teaching Christi how to do (crocheting). When I arrived to pick her up, she had made many chains with beautiful Tricia's guidance. 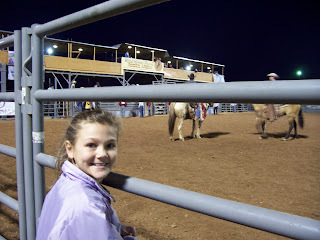 It's amazing to me that Shayla is almost "9" that age of Christi's forever etched in my mind. Despite hitting a deer on our way home, once at home things improved and Shayla is convinced that Christi was helping the deer that jumped out in front of my van. Shayla immediately asked me to please find Christi's sewing purse because she had seen it in Christi's room. As soon as I handed it to her I heard, "Wow!" It was stuffed full of yarn, crocheting needles, and other sewing items. I cut off the final "chain" Christi was working on, knotted it off and put it in a plastic bag to keep. Shayla is really happy! Hopefully, tonight I'll have been luck driving home from Columbus and Christi will keep all of the animals out of my way! We've returned to life in the fast lane and I continue to count my blessings!! I miss Christi every day, yet I continue to tell myself to "knock it off" and to be thankful she was in my life at all. She was the finest of teachers teaching me so much about life! Shayla is THRIVING at ice skating lessons, back to dance and LOVING her new school. I too am loving "The Taj", am back to OSU for the four classes I'm taking this quarter and also am enjoying the graduate class I'm teaching for OSU more than I should be allowed to enjoy!! (What can I say?! It's the first time OSU is paying ME instead of me paying THEM! YES!!) Seriously, I hope I am teaching these students, working on their Masters degrees, to be the very best middle childhood language teachers possible! I've added some on-line components to the class and that has been an exciting new venture for me as well. Each time my mind wanders to, "Where would Christi's locker be?" "I see Christi's class eating, where would Christi be?" I try to force it out of my mind because it is so painful. The sixth grade classrooms are right next to ours so I still see her classmates many times a day. They were the sweetest kids and I am certain Christi's the little busy body in Heaven watching over all of them! I'm also concerned about Shayla turning "9" next month. Will she still be the "little" sister then? I recently asked her not to turn nine. When she asked why I told her how much I loved her at eight and eight has been the best age for her ever. She told me, "You don't know about something until you try it. You may like nine even more than eight!" Unlike mom, she can't wait to turn nine! 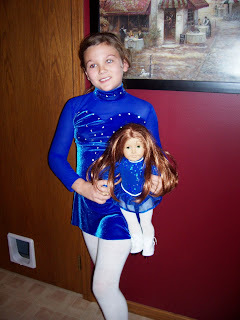 Pictures: Shayla with her amazing "blue and sparkly" ice skating outfit for her American Girl Doll - thanks to one of Christi's sweet supporters who continues to email with us!! It is sooooooo beautiful and so similar to Shayla's. (Chris even sent these little SKATES!!) Shayla has been wearing her new outfit to ice skating lessons and despite the cold does not let me zip her coat. (That would cover "blue and sparkly" ya know!) I'm amazed at how quickly she's learning. She's learning how to skate backwards and to do some little spins and other interesting things. After studying and grading papers entirely too late last night and again this morning, we took off to the Cleveland Boat Show for a bit today. Shayla went to a friend's house because if you're just going to look and dream and not buy anything, you might as well go play with a friend I guess! Regardless, it was fun to dream and I did buy another book from Bob Adamov. While not the highest of quality literature, he's an Ohio author who writes about Put-In-Bay and I always love when an author autographs my books and write about places I know!! Now when my quarter ends in March, I'll be digging in to read it over my spring break! She’s just 1 of 11 in U.S.
We tip our thinking cap to Angela Thomas, a teacher at Seneca East, for earning a second national certification through the National Board for Professional Teaching Standards — one of 11 teachers to hold multiple certifications nationwide. Thomas, who now teaches language arts to seventh-graders, received certification in in early adolescence/English language arts last December. She first achieved certification in 2004. Ironically, it appears that “The Blogger Monster has eradicated Shayla spelling out O-H-I-O as she made her way up Sqauw Peak! Wild! (Perhaps the Blogger Monster watched the National Championship Game too!) As I picked up “The Lantern” (OSU’s student newspaper) when I got to Columbus for class last night I had to actually laugh at the huge headline. It spelled out: “O-H, N-O!” and showed an OSU football player crying. The Taj Mahal was cited as "the jewel of Muslim art” in India and is one of the universally admired masterpieces of the world. 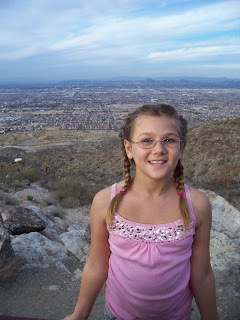 Pictures of "Baby Christi" in Phoenix visiting with Aunt V! Imagine my surprise this morning to wake up and see this on our neuroblastoma listserv! I don't know how someone found it, but........In December, our favorite newspaper reporter - Jill Goshe, told me that she would be writing a story about obtaining my second National Board Certification. She told me she was waiting to find out from NBPTS exactly how many teachers had ever earned a second one. When I recently found out that there are only eleven of us, I was really surprised. I knew the number had to be small (who else could be that crazy to attempt it and to actually make it - TWICE?!) but I didn't expect it to be that small! She called and interviewed me Sunday evening in Arizona. She told me she would be running the story on Monday, but she didn't tell me it would include my picutre and be a front page, top story. Imagine my surprise when we stopped on the way home from the airport yesterday at a store to buy extra copies and I saw that. Shayla was a little hoot when she read the headline. "Mom, that's really great! What did you do?" Teacher is one of 11 in the U.S.
A local teacher is finding herself in elite company. Angela Thomas, a seventh-grade language arts teacher for the Seneca East Local School District, is one of 11 teachers in the United States who have achieved two certifications through the National Board for Professional Teaching Standards. Thomas, who is in her 19th year of teaching, achieved a certification in early childhood/generalist in 2004. In December, she was certified in early adolescence/English language arts. Thomas said she thought she would be a hypocrite if she didn’t attempt a second certification when she became eligible. James Minichello, media relations manager for the board, said National Board certification is the most prestigious credential a teacher can earn. He said 11 teachers have two certificates, and two teachers have achieved three. Minichello said the certification process takes between 200 and 400 hours, on average, and has two parts. Teachers build a portfolio and complete online assessment exercises, he said. “The teacher puts together their own written analysis and reflection, their student work samples, documented accomplishments of their work outside the classroom … and we also have the teachers videotape themselves in the classroom,” he said. Thomas, a 1986 Seneca East graduate, said she received the early childhood certification — for ages 3-8 — in 2004 when she taught kindergarten part time. She said she needed a full-time position because her daughter, Christi, was battling cancer, and she saw a posting for a full-time junior high language arts position. When Thomas started the job in August 2004, she became eligible to pursue her second certification, aimed toward ages 11-15. She said she waited to apply until May 2006, when she thought Christi’s health was relatively stable. Christi succumbed to neuroblastoma about four months later. Thomas said she thinks she had about 400 hours of work in the process when she completed it in April 2007. She said she believes she’s a stronger and more effective teacher than when she started the certification process. “Everything you do with National Board, you have to tie it to how you improve student learning,” she said. According to the board’s Web site, the total of certified teachers is nearly 64,000. Ohio has more than 2,700. Minichello said officials are pleased nearly 8,500 teachers achieved certification this year, including 135 in Ohio. “It’s a signal that the teacher quality movement in Ohio’s classrooms as well as America’s (classrooms) made a substantial gain, because National Board certification is the most prestigious credential a teacher can earn,” he said. She said she thinks teachers sometimes get so caught up in their subject matter, they forget they’re teaching children and that they should put people first. THANK YOU, THANK YOU, THANK YOU soooooooooooo much to the sweetest of bloggers for playing Shayla's game! She LOVED reading every one of the comments and laughed occasionally while reading them. She tried to "trick" people into thinking she was in Texas with the photos she selected to share, but the majority of Christi's bloggers were much too wise for that. Yes! We went to Phoenix to visit Aunt V and to see Cousin Josh & Rosa's new little baby - Rosa Marie Christine (How about that for a beautiful name?! I know how much they all miss Christi too!) I made enough Southwest Airline trips (the majority of them with Christi) to have earned a free ticket. Shayne and Shayla will have theirs after this flight back today. They keep teasing me about where they are going next, without me. (Who knows where the next "Where Is Shayla?" game may take place from, hee hee!) It's hard to believe Aunt V has been here about fifteen years now. 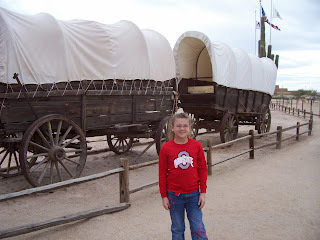 This was Shayla's sixth trip to Arizona, but she does not remember the earliest ones. 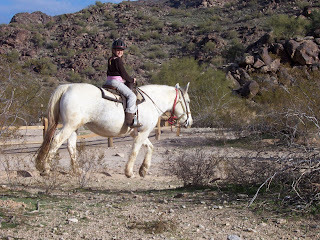 We had a lovely time in the Valley of the Sun, sightseeing and catching up. Despite the big drop in temps from our arrival on Friday, we were able to briefly enjoy: South Mountain, Rawhide, Squaw Peak, Pappago Park, Arizona Museum for the Youth, & Mesa's Natural History Museum before having to fly back to Ohio today. Her iPod has been wonderful. (I was able to load four children's books on it prior to our departure.) Shayla starts back to school on Wednesday, but she wanted to leave you a little message below. (Ohio State folks will "get it" she thinks.) We will be watching the National Championship game tonight. Again, thank you!! Happiness is a choice! I totally understand and definitely agree with that; however, tonight, I just can't quite write HAPPY New Year without Christi. Holidays are really, really hard! The little iPod Shuffle worked like a charm on our three hour drive to my sister's house. 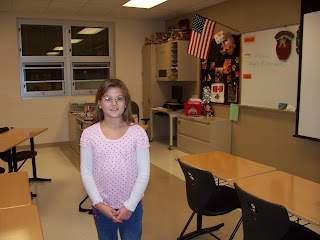 Shayla listened to "Junie B. Jones" and to her songs both ways. Although I was so looking forward to spending time with my family, I didn't even want to admit it was New Years. Perhaps that is why I was sound asleep on their living room floor by 10PM. OK, (hee hee) perhaps not, but I did find it quite humorous that the little ones had to wake me up to tell me it was a New Year. 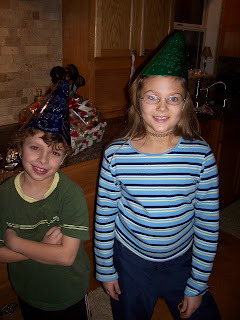 I did hop up to snap their picture, wearing their party hats, before going to bed. In my former classroom was a sign I posted stating "For every minute you are angry, you lose 60 seconds of happiness." I am trying very hard to get back to that attitude, but - until then - New Year's Greetings to you all! May your 2008 be abundantly filled with peace, happiness and good health!